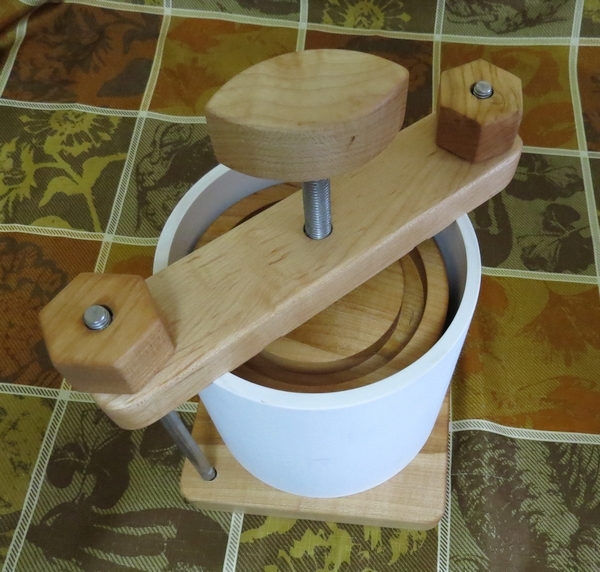 The Ultimate Cheese Press is our pride and joy. Designed by Jerri Bedell, founder of Homesteader’s Supply and is manufactured by another American company. We’re happy to tell you that we’ve made a change in how our presses are oiled. We’ve been testing organic non-GMO cold pressed coconut oil and we are very happy with the results. Coconut oil is thicker, soaks into the wood well, and stands up to the acidic nature of whey in cheese making. Presses being shipped now have been treated with coconut oil but If you’d like to order a raw press (not oiled) please request it when you order. Next time you need to treat our press you should follow these steps. Wash the wood with warm, soapy water. Wash all indentations and where bolts meet wood well. Air dry for a minimum of four hours, overnight if possible. Be sure the wood is completely dry. Melt 1/4 cup of organic non-GMO cold pressed coconut oil just until it melts. Wash your hands to avoid transferring anything to the coconut oil. Using a lint-free cloth, apply a heavy coat of coconut oil. 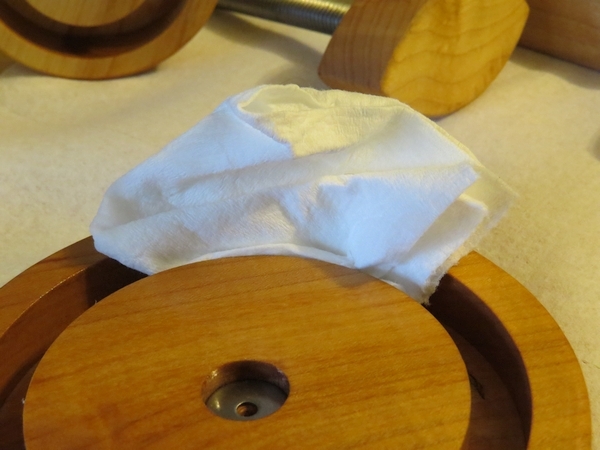 Place oiled pieces on lint-free cloth or paper towel while the wood absorbs the oil and the oil solidifies. Fold your cloth into small sections that can be pressed into the grooves. Let the pieces sit for an hour or two before wiping clean with a lint-free cloth. Inspect all pieces closely. If you’ve missed a spot or the coating of oil is uneven, repeat steps three through five. You should hand wash your press with warm (not hot), lightly soapy water after use. Never soak the wood. Be sure to let the pieces dry thoroughly before reassembling the press to store. 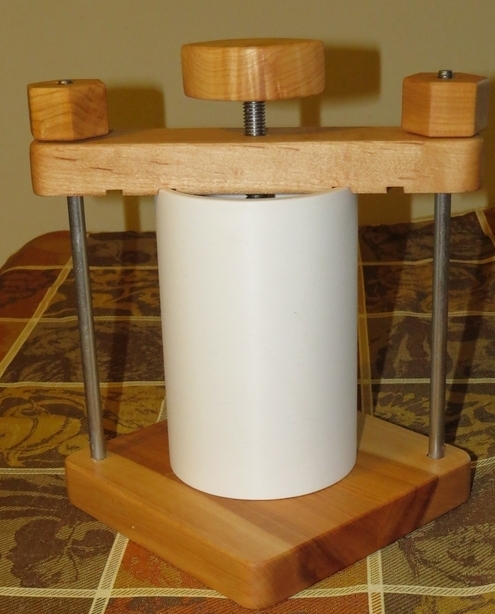 This entry was posted in Cheese Making, Fermentation and tagged cheese making, cheese press on June 10, 2014 by Homesteader's Supply. I can not find your e-mail subscription hyperlink or newsletter service.